When it comes to Museums, Humboldt County is lucky in that quite a few exist to give visitors an insight into the past, present and future of the area. From our storied Logging Industry to regional Tribal History, up and down the coast and over to Willow Creek, the rich past of Northern California can be found all over the county. Check out our list of Museums below and click on each to get additional information, directions, pictures and more. 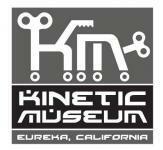 Are we missing your favorite Humboldt County Museum? Please let us know so we can add it to the list to share with other people looking to experience the area’s wonderful history.